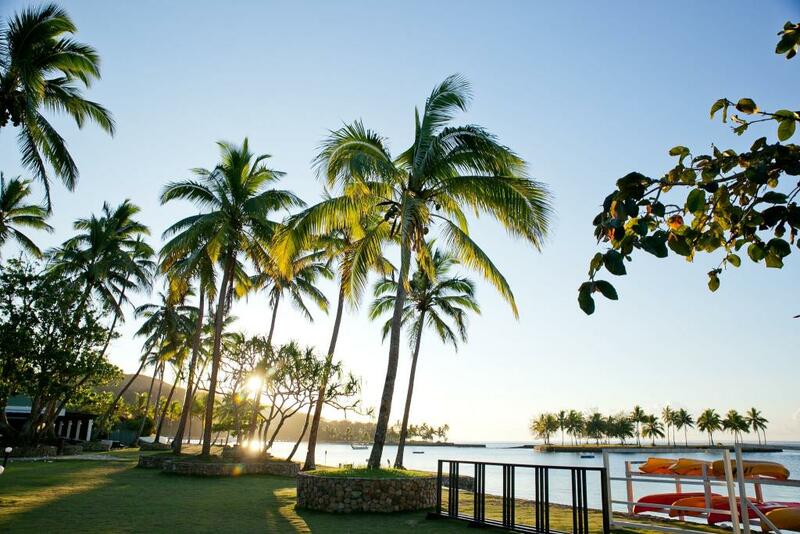 Set amongst 38 acres of lush tropical gardens, Naviti Resort Fiji lies on Fiji's stunning Coral Coast between Nadi and Suva. 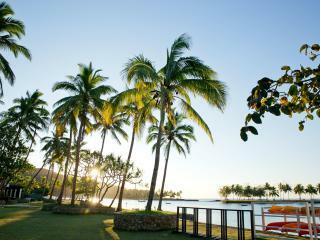 Overlooking its own private island, this Fiji accommodation is flanked by a magnificent lagoon and rolling green hills. 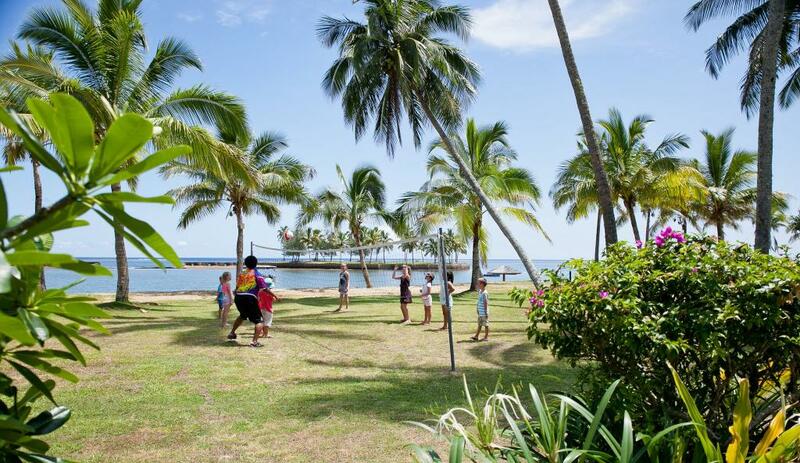 Discover the warm Fijian welcome and gorgeous tropical ambience as you holiday with family, friends or the one you love at Naviti Resort..
Naviti Resort Fiji offers an array of accommodation, including the popular all-inclusive option encompassing meals and drinks. 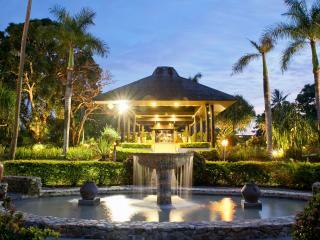 The 214 rooms are air conditioned and include hotel rooms, suites & beachfront villas. 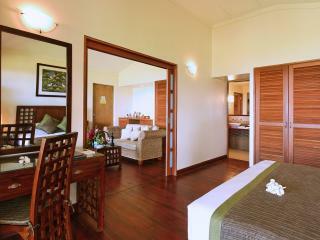 All rooms are well-appointed and offer a comfortable yet sophisticated setting to relax on your Fiji holiday. 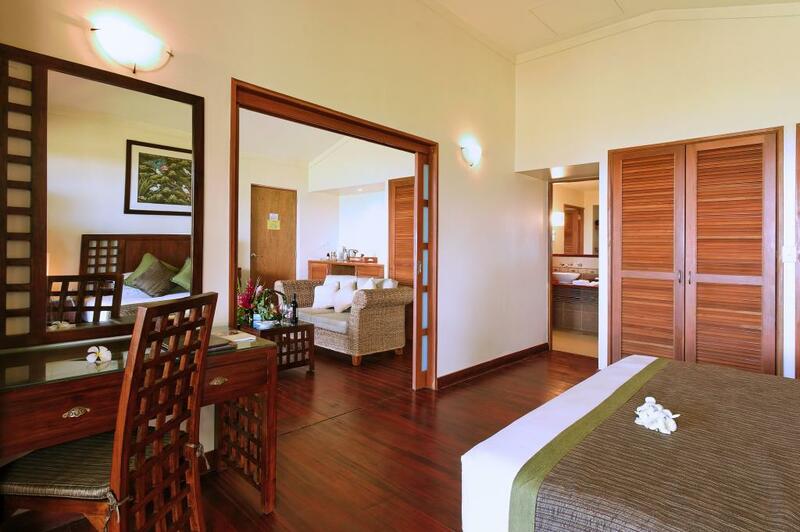 The suites and villas are ideal for couples looking for a romantic getaway in Fiji, whilst the interconnecting and adjoining Garden View or Ocean View rooms are a fantastic option for families, not to mention Naviti Resort's Kids Stay, Play and Eat Free policy (conditions apply). 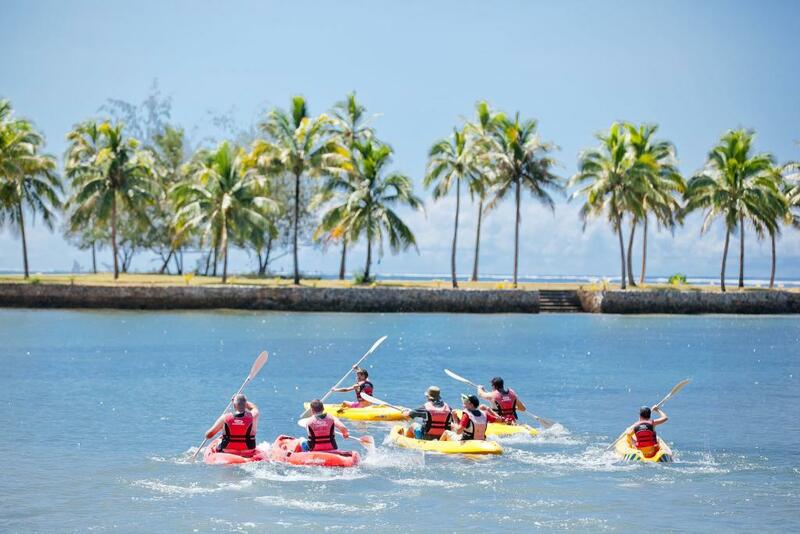 Naviti Resort Fiji has a number of onsite facilities and the stunning natural environment will keep you busy as you explore Fiji and it's culture. 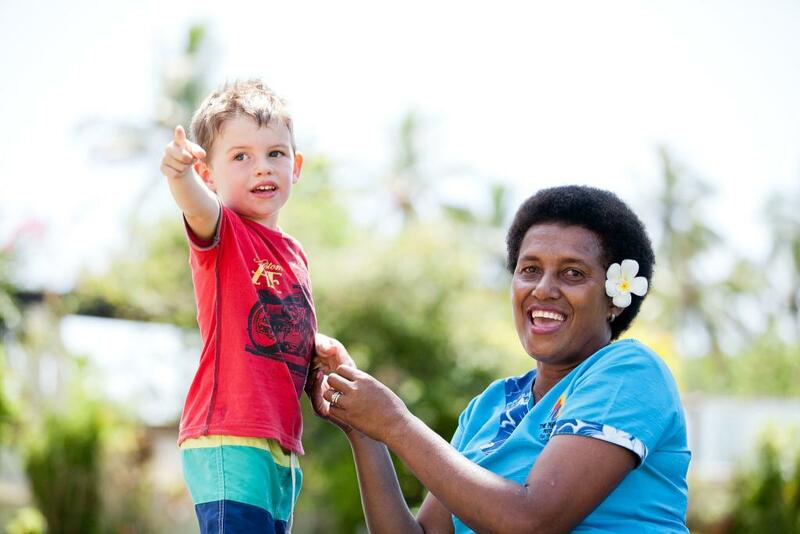 Enjoy the fresh cuisine at the many dining outlets, treat yourself to a spa treatment while the kids are supervised in the free kids club or venture outside the resort to discover the local Sigatoka area. 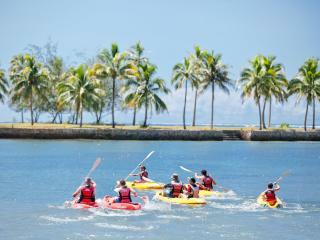 Whether you're kayaking or snorkelling among the abundant marine life or lazing on the sun drenched beach beneath the coconut palms, Naviti Resort aims to provide a relaxing holiday environment and give you the freedom to spend your Fiji holiday as you wish. 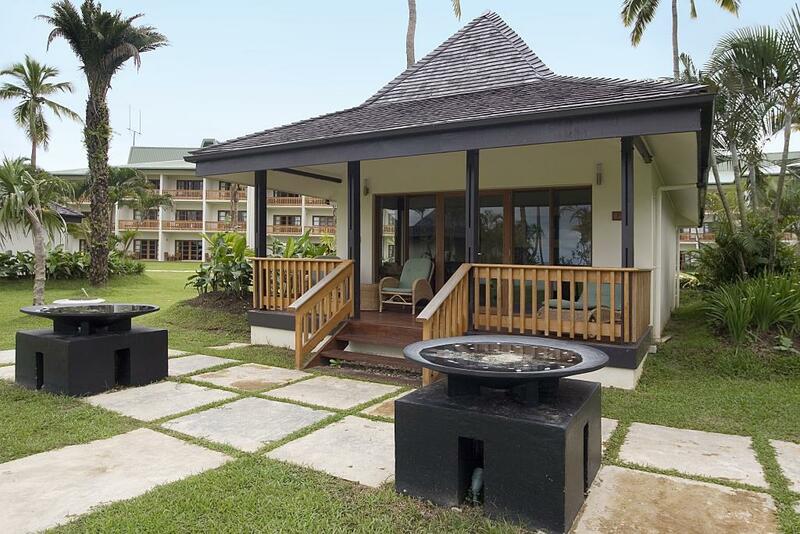 Nestled between an ocean lagoon and the surrounding tropical hills, Naviti Resort Fiji accommodation is stylishly furnished with quality rattan furniture, breezy spaces and warm tones. Garden View: Each room overlooks tropical landscape gardens. Bedding is 1 Queen Bed + 1 Single Bed OR 2 Double Beds. Maximum room capacity is 3 Adults OR 2 Adults & 2 Children. Garden View + Kids Room: These are 2 adjoining OR interconnecting Garden View rooms that will accommodate families. Maximum room capacity is 3 Adults & 3 Children OR 2 Adults & 4 Children. 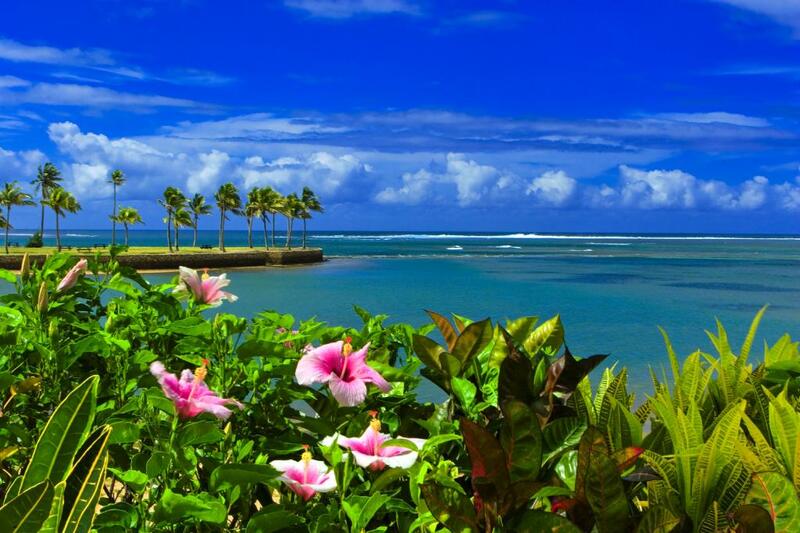 Ocean View: Overlooks picturesque views of the Pacific Ocean. Bedding is 1 Queen Bed + 1 Single Bed OR 2 Double Beds. Maximum room capacity is 3 Adults OR 2 Adults & 2 Children. Ocean View + Kids Room: These are 2 adjoining OR interconnecting Ocean View rooms that will accommodate families. 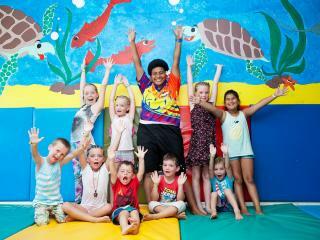 Maximum room capacity is 3 Adults & 3 Children OR 2 Adults & 4 Children. 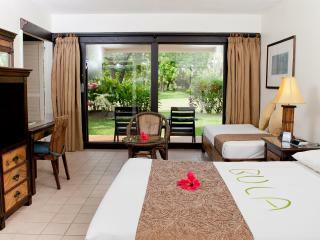 Garden View - All Inclusive: Each room overlooks tropical landscape gardens. Bedding is 1 Queen Bed + 1 Single Bed OR 2 Double Beds. Maximum room capacity is 3 Adults OR 2 Adults & 2 Children. Garden View + Kids Room - All Inclusive: These are 2 adjoining OR interconnecting Garden View rooms that will accommodate families. Maximum room capacity is 3 Adults & 3 Children OR 2 Adults & 4 Children. 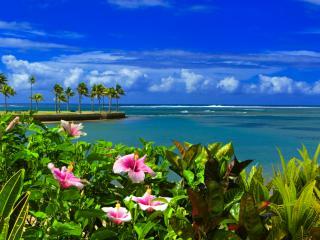 Ocean View - All Inclusive: Feature views of the Pacific Ocean. Bedding is 1 Queen Bed + 1 Single Bed OR 2 Double Beds. Maximum room capacity is 3 Adults OR 2 Adults & 2 Children. Ocean View + Kids Room - All Inclusive: These are 2 adjoining OR interconnecting Ocean View rooms that will accommodate families. Maximum room capacity is 3 Adults & 3 Children OR 2 Adults & 4 Children. Family Garden View: These rooms are located on the ground floor of the Suva and Nadi wings and open out to superb gardens and landscapes. These rooms, although limited in number, are ideal for families. Bedding is 1 Queen Bed + 1 Single Bed a Double Bunk Bed (in an alcove room). Room capacity is 2 Adults & 3 Children only. 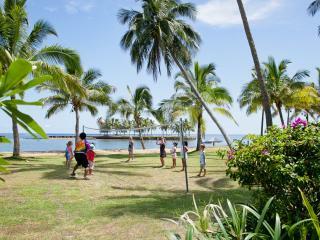 Family Garden View - All Inclusive: These rooms are located on the ground floor of the Suva and Nadi wings and open out to superb gardens and landscapes. These rooms, although limited in number, are ideal for families. Bedding is 1 Queen Bed + 1 Single Bed a Double Bunk Bed (in an alcove room). Room capacity is 2 Adults & 3 Children only. 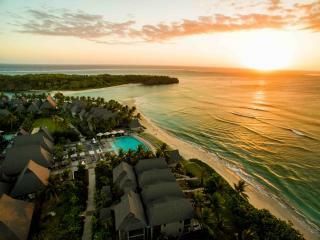 The Villas & Suites at The Naviti Resort are perfect for a honeymoon or romantic escape. Suite: Ideal for couples and honeymooners and features a lounge area and private balcony. Bedding is 1 King Bed + 2 Day Beds. Maximum room capacity is 2 Adults + 2 Children or 3 Adults. 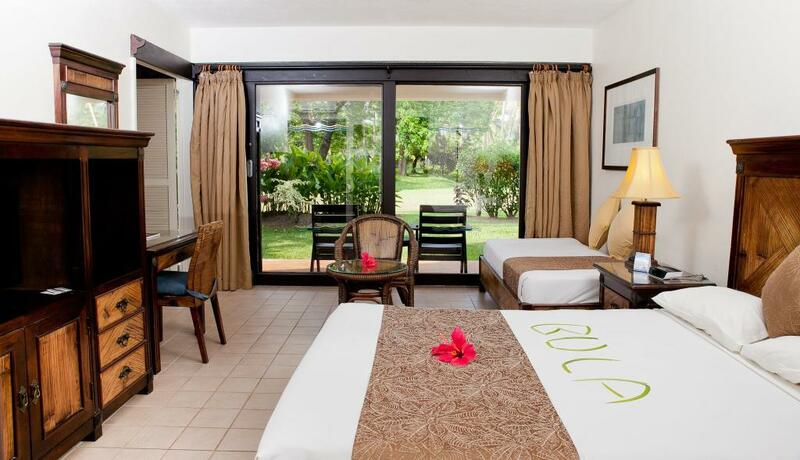 Studio Villa: The private villas are ideal for couples and also feature a private balcony. Bedding is 1 King Bed. Maximum room capacity is 2 Adults. This room type does not cater for children. 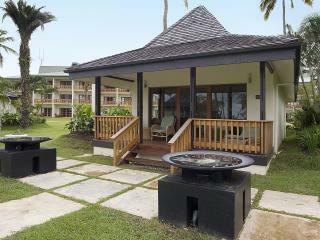 1 Bedroom Oceanfront Villa: Contemporary and spacious with views overlooking the Pacific Ocean from the private balcony. Bedding is 1 King Bed. Maximum room capacity is 2 Adults. This room type does not cater for children. Studio Villa - All Inclusive: The private villas are ideal for couples and also feature a private balcony. Bedding is 1 King Bed. Maximum room capacity is 2 Adults. This room type does not cater for children. 1 Bedroom Oceanfront Villa - All Inclusive: Contemporary and spacious with views overlooking the Pacific Ocean from the private balcony. Bedding is 1 King Bed. Maximum room capacity is 2 Adults. This room type does not cater for children. Nukunuku Restaurant & Bar: Open daily from 7.30 am to 2.30 pm. 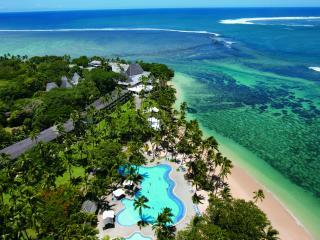 Take advantage of the the superb ocean views at Nukunuku whilst enjoying your buffet or continental breakfasts. The relaxed cafe is a great place to hangout for lunch or during the day, sipping cocktails and munching on light snacks. Meals on offer are local and international cuisine. 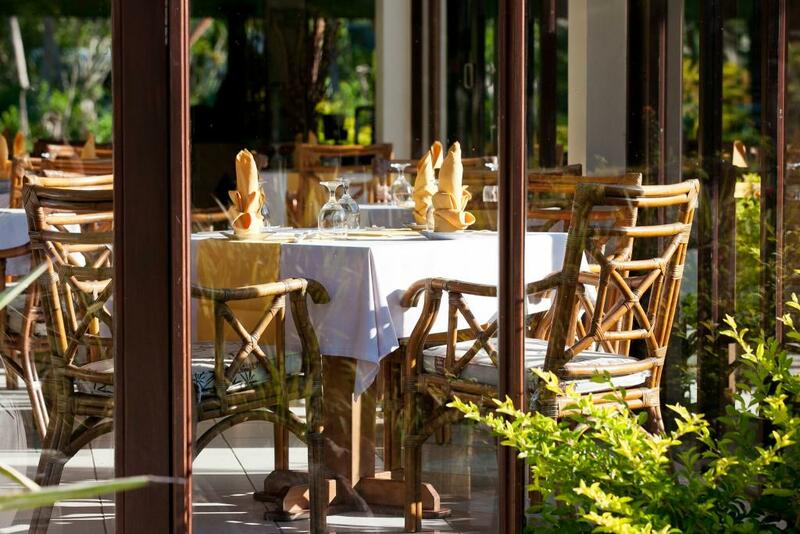 Talei Restaurant & Bar: This is an adults only restaurant and is open daily for dinner from 6.00pm to 9.00pm. Restaurant service is a la carte. Reservations are essential. 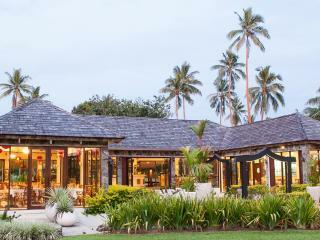 The Grill: This is the newest restaurant to open at The Naviti, open daily for lunch and dinner offering a la carte as well as grill specialties, spit roasts and wood-fired pizzas over three separate dining areas. 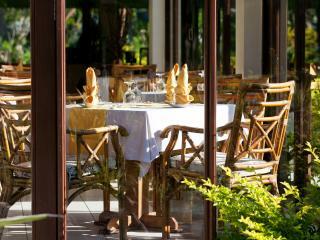 Bamboo Terrace Restaurant: Open daily for dinner from 6.30 to 10.00 pm. This semi fine dining venue features an a la carte menu specialising in a range of Asian cuisines, particularly Cantonese and Mandarin. 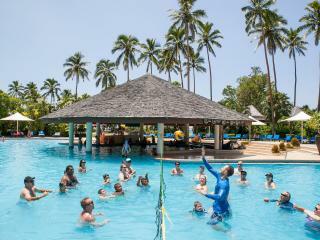 Swim Up Pool Bar: Open daily from 10.00 am to 6.30 pm, this is the ultimate in relaxation and indulgence. 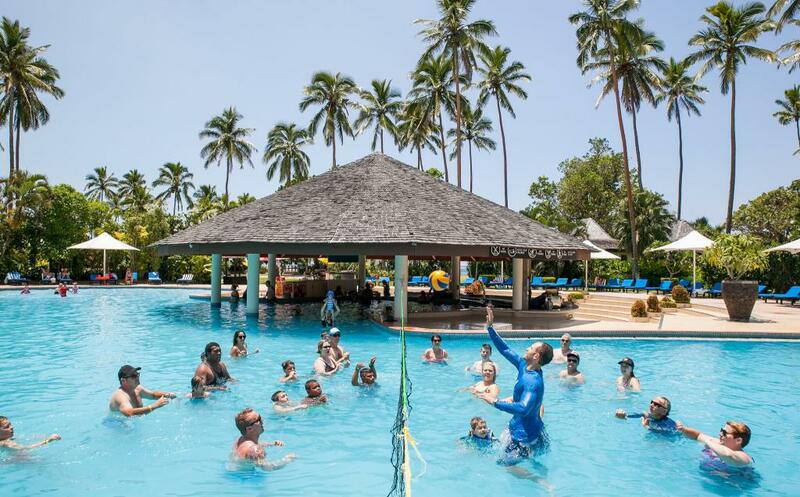 Enjoy a tropical cocktail or cool drink from the comfort of your mahogany deck chair, or if you prefer to stay wet take advantage of the covered swim up bar. Full room service is also available. Naviti Spa: Relax and indulge with a facial, body wrap and scrub or a pampering massage from one of the experienced therapists and let their magic hands release your stress as you float away on a cloud of serene tranquillity. 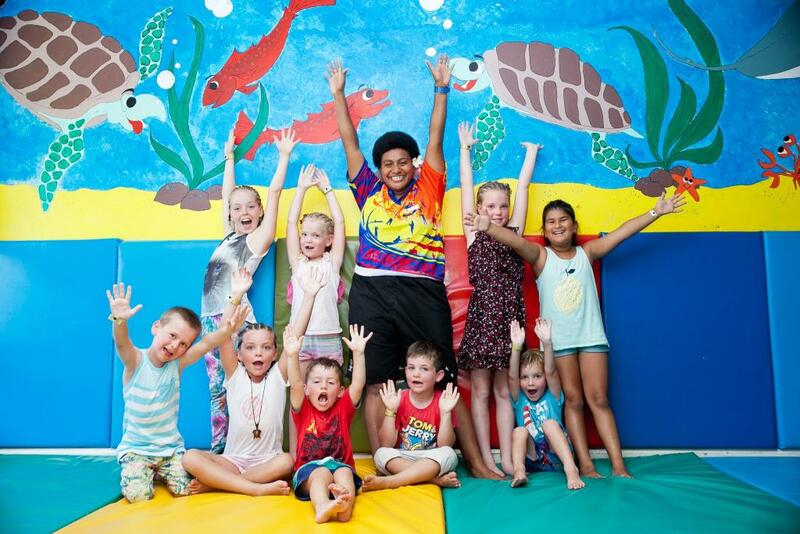 The Ratu & Adi Vonu Kids Club is open daily for children aged 5-12 years and provides a fun and safe environment for your kids to enjoy fun packed activities. Children under the age of 5 require adult supervision. 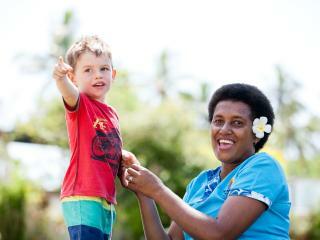 Kids 0-12 years also Stay and Eat Free at Naviti Resort making it ideal for families (conditions apply). 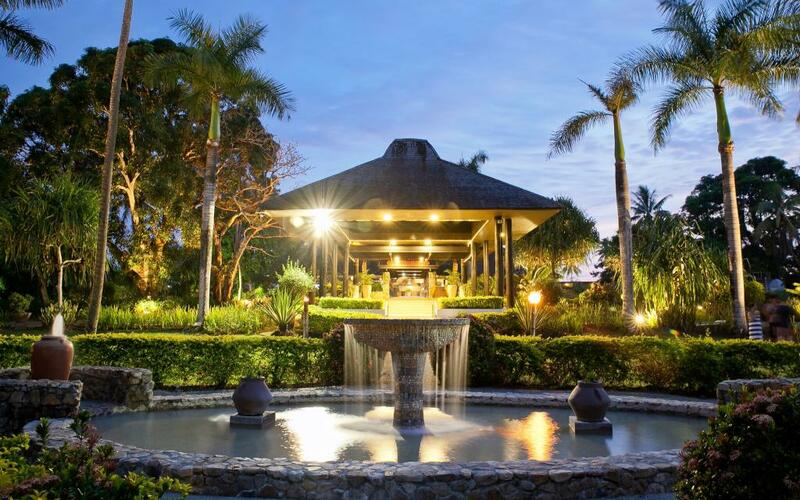 The Naviti Resort Fiji is a romantic island setting for your special day and offers a basic wedding package to take care of any size or style of ceremony down to the very last detail. 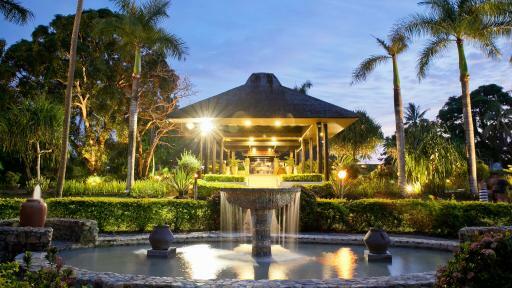 The resort's Wedding Coordinator can help you to customise the package to meet your individual needs and can assist in choosing a ceremony location such as sunset on the beach, garden courtyard scene or lobby decking with cascading water fountain setting. For wedding package rates please use Instant Quote. Children: 2 children 12 years and under occupying the same room as parents stay free when using existing bedding. Up to 2 children 12 years and under are entitled to Eat Free from the 'Kids Menu' at the appointed dining hours and venue. Ratings are averaged based on 333 reviews. Thank you Naviti staff for an amazing stay. It was so relaxing and what we needed as a family. 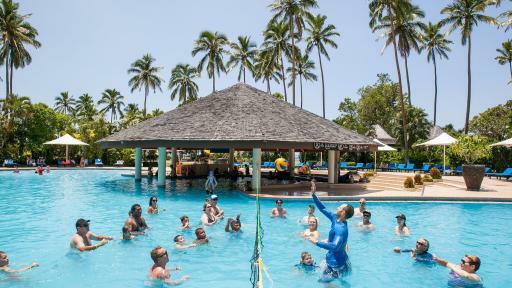 The service provided by all staff was fantastic and the value for money (all inclusive deal) was excellent. Our children (4, 6) loved kids club and the daily ice creams. We will be back!!! We will be back ??? ?